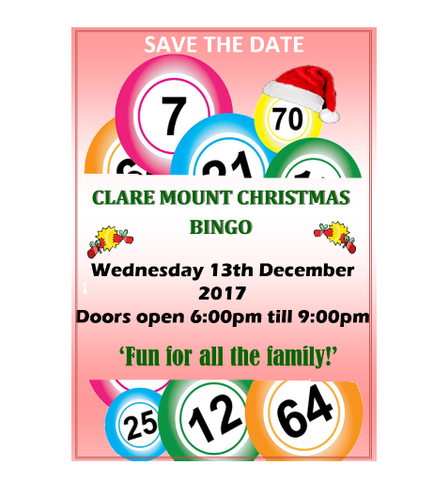 We are pleased to announce the date of our annual Christmas Bingo event. The Bingo night will take place on Wednesday 13th December from 6pm - 9pm. As well as Bingo there are also raffles, tombola and hot food for sale. All ages are welcome for this great family night out. We hope to see you there.